At first I thought I would root for the team that had kindled my love of baseball and held my affections for my first 40 years, the Los Angeles Dodgers. This idea expectation held for a week or so until I came to grips with what it was like when most games started at 9pm in my new time zone. I like to watch games live, not on Memorex. So that leaves me with the following teams: Atlanta, Cleveland, Philadelphia, Pittsburgh, Tampa Bay, and Washington. After so many years of frustration with the Mariners, I DO want to have a reasonable chance at reward for my fandom. I also want to follow a young, up-and coming team. I want to see a team that has a chance to do what the Astros have done. Atlanta – They check all the boxes, and hold the promise of a quality young core that might contend for years to come. Philadelphia – Same as Atlanta to a lesser degree, plus expected to be major free agent players this offseason. But I am more interested in the long haul, and I’m more convinced by Atlanta than I am Philadelphia. Cleveland – Cleveland is good now, they’ve built something with Francona at the helm and some good acquisitions. But I’m not convinced their organization can sustain this over the long haul. Tampa Bay – Gotta love a franchise that has accomplished over the years what the Rays have done with such limited resources. Eat your heart out, Mariners. But they end up having to sell off their good players at such a young age. They replace them, but I’d like more continuity than that. Pittsburgh – The Pirates looked like an up and coming franchise a few years back, but they are looking more and more like an organization that only take things so far. I guess I see them as hovering near .500 most years. Washington – The Nationals had their chance at greatness a few years back and did not take advantage. They seem to be sliding into mediocrity. Rather than creating an "SSI team" to follow, my choice, which would be the Boston Red Sox ... it would be more fun to winnow the teams as we go. If there is interest in SSI coverage of the playoffs, that would be great - in terms of a weekly column or somesuch. Let's see.... the Braves have easily clinched their division and therefore don't have to sweat the wild card. 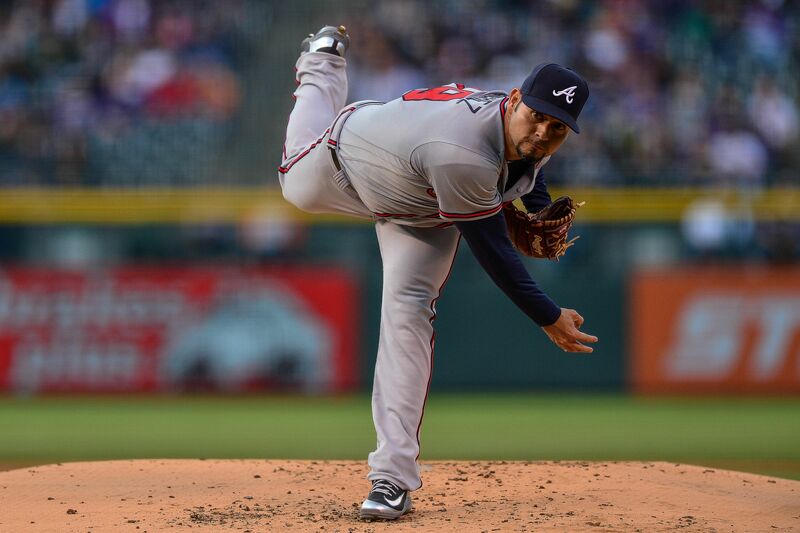 They also sit on a little 4-game losing streak despite their 135-ERA aces, Anibal Sanchez and Mike Foltynewicz. They've managed their IP totals well, so no SP sits over 170.2 IP, and can afford to align Sanchez and Folty how they want for their first round (what we once hoped the M's could do with Zeus). First step in rooting them would be: Daddy-O, do they actually plan to do this? "do they actually plan to do this?" (2) Their mascot flies in the face of an increasingly militant and unforgiving PC culture. (4) I'm aware through media that they have a great core of young players, none of whom I really know. I DO know who Freddie Freeman is, but he's the vet now. (5) In the early days of TBS Skip Carey and Ernie Johnson managed to hold onto viewers with mostly boring chit-chat. I wish my inclination included a deep research of the team, but it doesn't. In fact, that's kinda the way I want it. If indeed I run with Atlanta next season I want to form my own impressions by watching them play. That doesn't mean I won't check out their Baseball-Reference page, but it does mean I probably won't do much more than that other than to keep an eye on their offseason. For the playoffs I'm just looking forward to watching good baseball teams go at it. As opposed to enduring the Mariners. Sometimes a team simply captures your heart during the playoffs, and I WILL be looking at Eastern time zone teams with an eye on next year. I'm still open to changing my mind. I never have been into watching the talking head shows. So with regard to what the Braves will do, I guess I'll just find out when I tune in (uh, obsolete term alert -- STREAM) the games. Tip o' the cap to ya, Doc. You take care of yourself, y'hear? ....is still holding on to the hope that Daddy will still go to the prom with us M's nerds for the next several years. Hey, you can always hope. I had intended to take this step last season only to be hoodwinked by the team into thinking this year would be different. For three months it WAS different.